As 1862 dawned, the Civil War, the conflict that had started the year before and that most Americans thought would last only a few months, showed no signs of ending. Hundreds of thousands of men across the divided nation enlisted in state volunteer regiments that poured into the sprawling military camps around Washington, DC, Richmond, Virginia, and other strategic locations. Within a year, thousands of these courageous men had lost their lives on bloody battlefields or died in disease-ridden encampments. 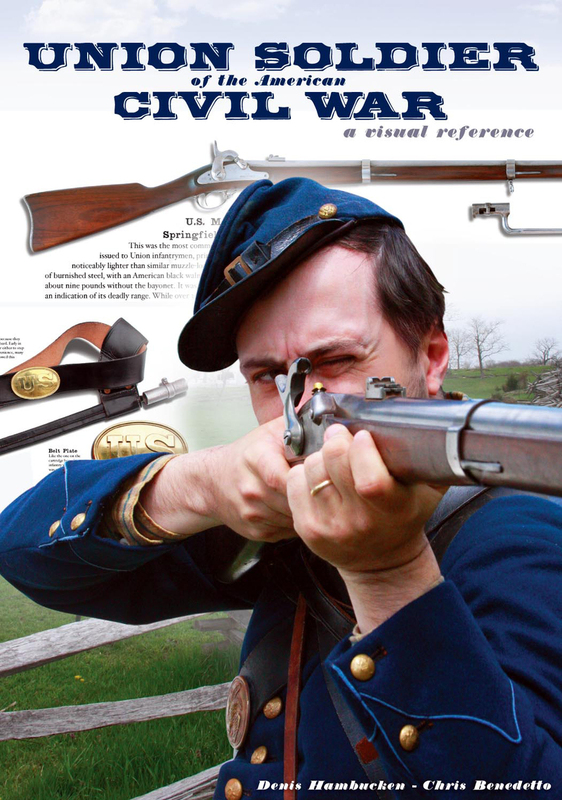 This book provides a glimpse at the lives, weapons, and equipment of these soldiers through a collection of artifacts and exacting reproductions.While other books examine the War Between the States from a political, tactical, or military perspective, these books focus on the day-to-day life and the human experience of the men themselves, the Union and Confederate soldiers who enlisted and often fought to the death for their beliefs and those of their home regions of the young United States.Illustrated with full-color photography and historical documents, engagingly written and thoroughly explained, these books are the perfect addition to children’s and adults’ library collections, school libraries, and personal libraries of interested readers and history lovers of all ages. Denis Hambucken is an advertising and design professional who combines his passions for design, photography, and New England to write books about woodworking, crafts, and history. A native of Belgium, Hambucken now lives in New Hampshire.